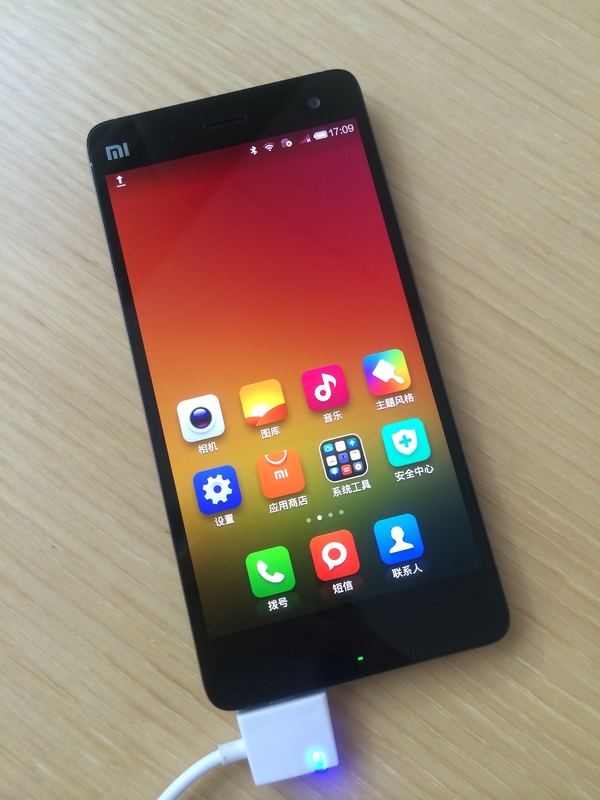 Chinese smartphone manufacturer Xiaomi released its fourth-generation smartphone today and the Mi 4 is impressive — largely because the company has finally used metal for the frame of its phone, getting rid of the plasticky feel that was a letdown in its predecessors. 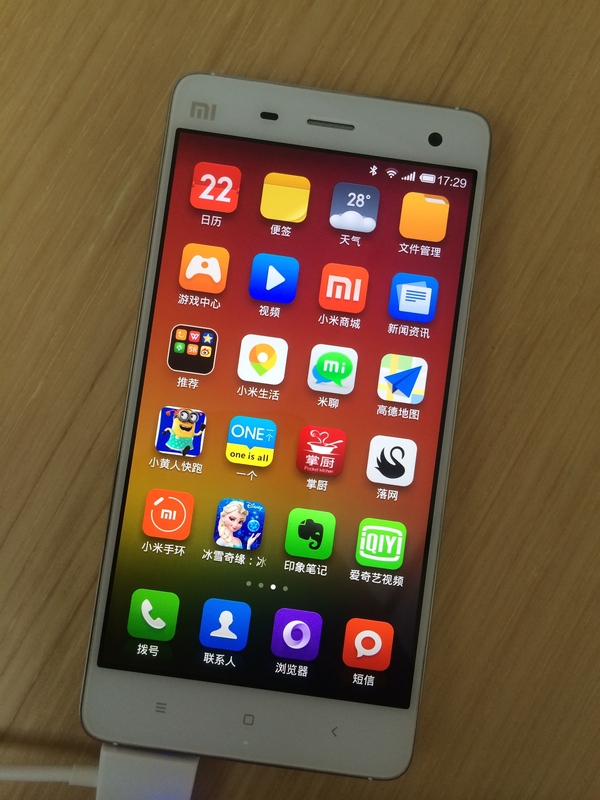 The Mi 4 is also once again packed with high-end specs that have led to CEO Lei Jun touting it as the fastest-ever smartphone globally, replacing the Mi 3. 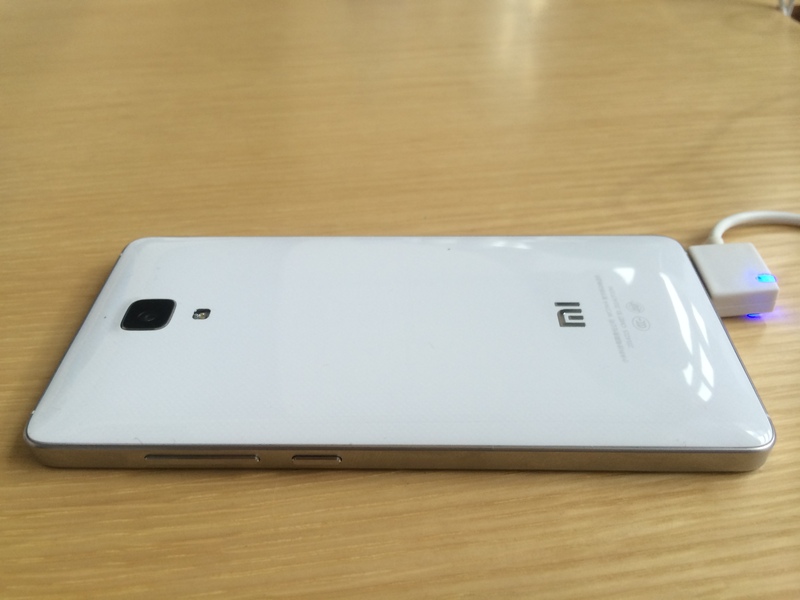 First impressions: the Mi 4 actually looks like a bigger version of the iPhone 4. Despite being bigger than the iPhone 4 though, it is extremely light, weighing only 149g. 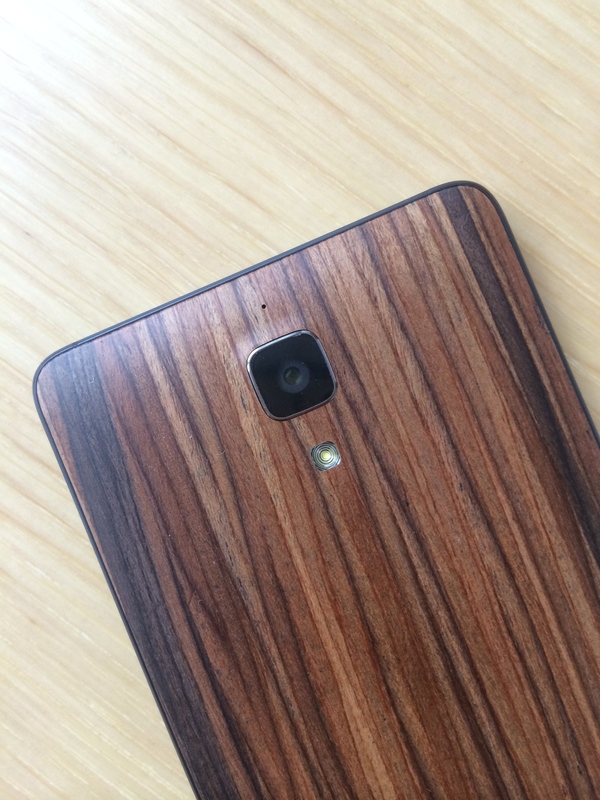 When held, the phone feels very solid and doesn’t seem at all like a CNY1,999 ($322) device. Indeed, Xiaomi seems to have managed to create a high-end device both in terms of looks and specs this time round, all the while sporting a mid-tier price. 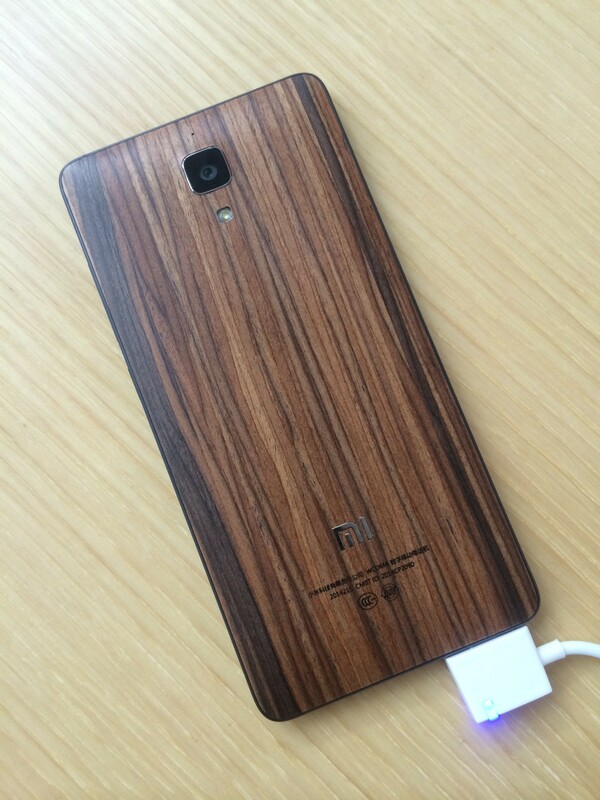 Xiaomi has also moved away from the garish neon colors that the Mi 4’s predecessors sported, and only unveiled two colors — black and white — as well as a series of wood covers that are reminiscent of the Moto X’s wood finishes. 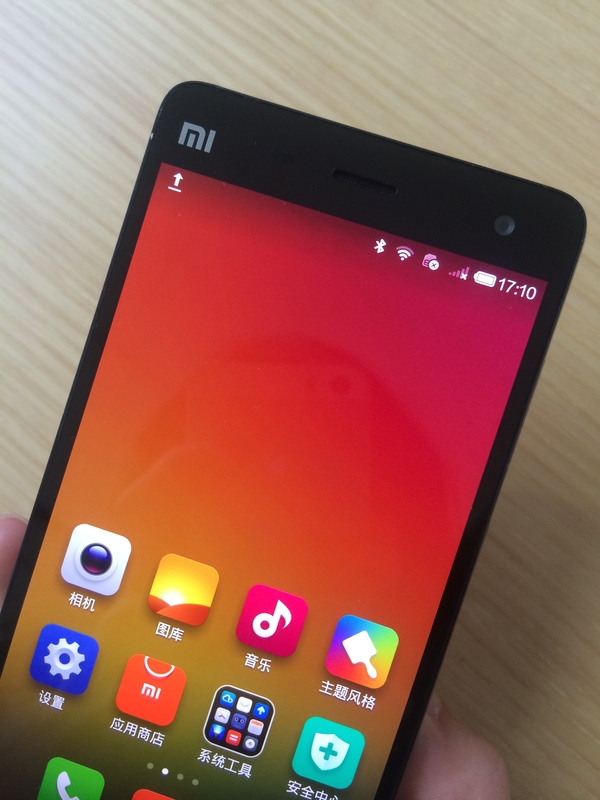 The Mi 4 screen has also been upgraded to improve the appearance of colors. It boasts 84 percent of NTSC color support, which Xiaomi says is close to Adobe’s RGB standard. The 1080p resolution already produces impressive graphics, and the new boost in saturation make browsing through them a joy, as the colors are significantly more vibrant. The screen is also extremely sensitive to touch, so much so that it can be used even when your hands are damp. 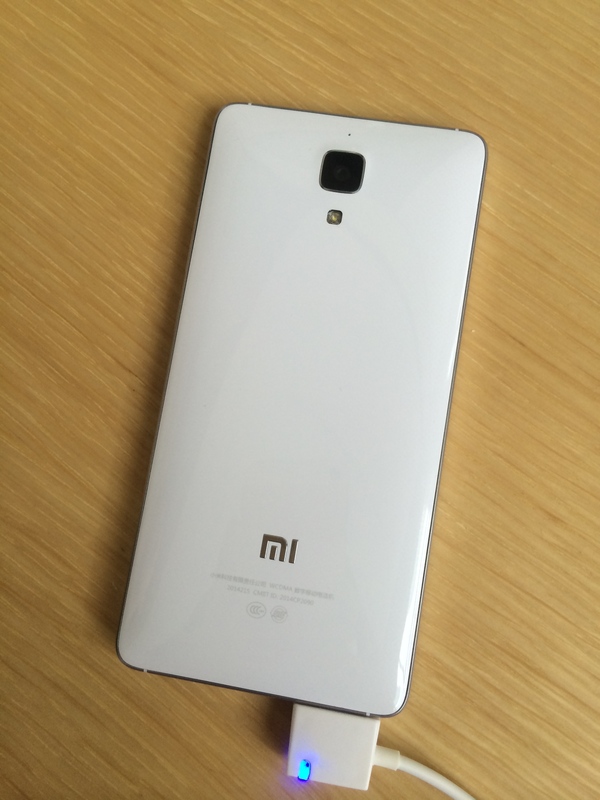 As the Mi 4 runs on a 2.5GHz Qualcomm Snapdragon 801 processor, its performance is naturally up to standard. I played Temple Run on the phone and was impressed by how speedy and smooth the gameplay was, without any lag at all. 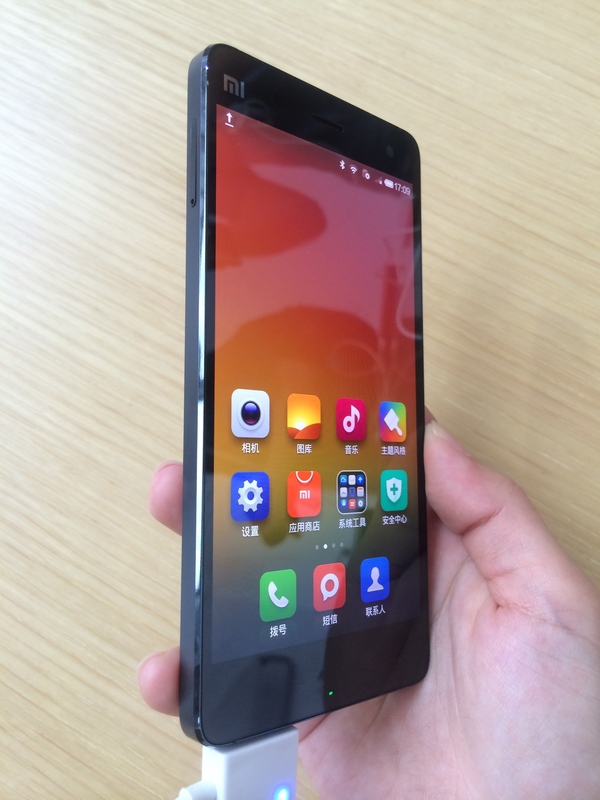 Xiaomi has also introduced a series of improvements to its camera to compete with fellow Android manufacturers. Other than a robust 8-megapixel front-facing camera which would appeal to those who are sick and tired of taking low-quality selfies or video calls, the rear camera also sees a few new features which can come in very handy. An exposure adjuster lets you dial up or down the brightness level before you even press the shutter, while a ‘smart flash’ merges two photos (one without flash and one with auto flash) to make for a better picture. There is also an image tracker which lets you select a focal point that the camera will then track, no matter how the object moves, which can come in useful for taking photos of kids or animals. Samsung and HTC introduced selective focus tools in their latest flagship smartphones, and Xiaomi has joined the fray too with a similar option — after taking a photo, you can select which part of the photo should be in focus. At this price point, the Mi 4 is an extremely promising Android device — and looks set to be a game-changer. After all, it brings to the Android smartphone scene a device that not only includes the use of stainless steel for a solid frame, but also 4G support. It seems like Xiaomi has “graduated” from the mass of low-end Android devices and actually come up with something that’s both high-end in specs and appearance. Fellow Android manufacturers including Samsung and HTC should very well be shivering in their shoes now, though OnePlus One with its customizable software and high-end performance at a mid-range price may not have that much cause to fear (probably till the unveiling of Xiaomi’s MIUI V6 operating system on August 16). To this extent, Xiaomi has also taken a page out of Apple’s book to introduce a CNY99 ($16) insurance package (something like Apple Care), which covers screen breakage and accidental water damage.